PartsTrader is an easy-to-use online marketplace that provides collision repairers with a single source for procurement of parts from leading OEM dealers, parts recyclers, and alternative parts suppliers. "It's so easy to use - we use it to order parts regardless of which insurer is paying for the repair. It's more efficient." "PartsTrader has freed up our time to work on other things without being stuck on the phone – it is all about efficiency." "We consistently use PartsTrader; it is a standard process at the shop. We have seen a slight decrease in our cycle time with PartsTrader and are seeing better margins on parts because of PartsTrader." "PartsTrader is very simple to use. If we have an issue, we can send a photo of the part with the quote. PartsTrader helps in all aspects of the job; we use it for all claims"
"It has been a success for our shop. 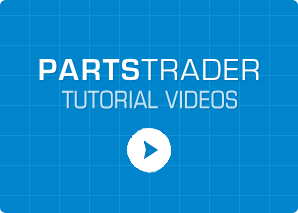 PartsTrader is a good tool for competitive pricing, and it saves time in ordering parts." "PartsTrader streamlines the part finding process with fewer phone calls and less room for error." "We use no other system for parts, and really appreciate being able to attach photos of parts to orders. PartsTrader has streamlined our workflow process." "[We are seeing] improved profit margins. PartsTrader has improved the accuracy and time it takes to order parts, and we're seeing less incorrect parts. It has also opened new doors to suppliers." "Sending out quote requests and ordering parts is easier because it saves time on having to fax part orders. Our workflow has improved, cutting down wait time on orders." "We use PartsTrader for all our part needs and have seen an improvement in our workflow." "We like PartsTrader because we can find vendors online without having to rely on local searches. Parts come faster and profit is maximized due to used parts"
"We are a smaller shop and don't have a staff of estimators. PartsTrader is simple to use and a time saving measure across the board; especially with different insurance carriers." "Finding parts is easier during the quoting parts process. We can have parts brewing for five cars at one time. It just makes sense and actually works! The feedback system is very helpful." "We like the the ease of use of PartsTrader. Instead of making three phone calls, just one click of the button gets us what we need. If there is a delay in a repair, it is easy to document returned damaged parts for the insurance company. PartsTrader is very user-friendly." "With PartsTrader you are assured of fair pricing with the added benefit of one-stop shopping for all of your parts procurement. PartsTrader helps you manage all of your orders." "I'm not afraid of new things! I like that it's possible to use PartsTrader for all estimates. It doesn't make sense to use multiple systems. We can find parts we wouldn't have known were available otherwise." "I like PartsTrader because I can quote out all the parts the body shops need instead of them calling for just one part. I recommend it to the any of the recyclers and I really like it." "I’ve been using PartsTrader for about six months now. It’s really helped streamline my business process with estimates. It’s probably cut down my cycle time by about two days per order." "...I’ve gone from a 6 – 7 hour parts ordering process to about 25 – 30 minutes to request my quotes, and about a 15 minute follow-up to order all my parts for the following week. So I find it saving me 5 ½ to 6 hours a week on my main parts ordering and really has just streamlined everything across the board..."